Our Tranquility and Grace Bouquet is an exquisite blend of cool colors sure to bring your recipient a calming, soothing vibe. Comprised of gorgeous green Hydrangea complemented by blue Delphinium and Lavender Aster, it's a lovely choice for anyone for any occasion! 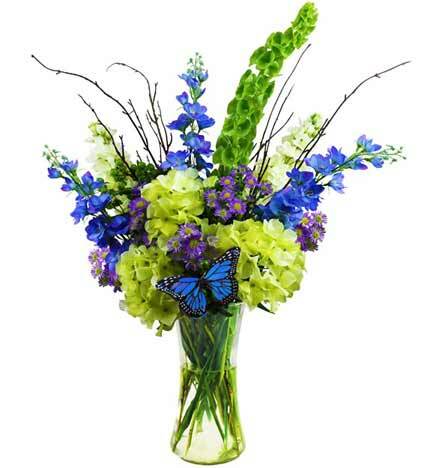 Blue butterfly accent is not included.